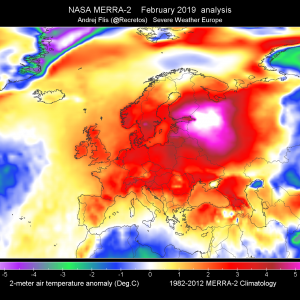 An upper trough moves into the northern Mediterranean with a new surface low forming over N Italy and N Adriatic sea. 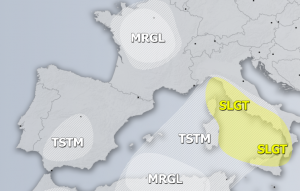 A SLGT+ risk has been issued for Ligurian and Tyrrhenian coast for heavy rain, tornadoes, severe winds and large hail. 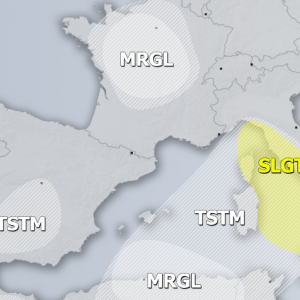 A SLGT risk has been issued for E Adriatic sea with threat for heavy rain with high rain amounts, severe winds and some tornado threat. 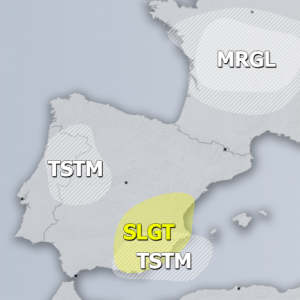 A SLGT risk has been issued for Bay of Biscay with threat for severe winds and heavy rain. 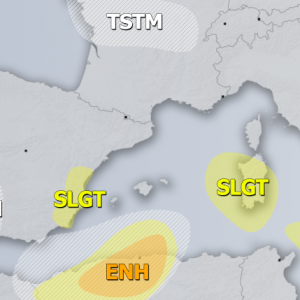 A SLGT risk has been issued for Baltic sea with threat for severe non-convective winds.